Above left: Lord Robert Dudley, later earl of Leicester. Above right: Portrait of an unknown woman, c. 1550, thought by some to be Amy Robsart. On 4 June 1550, Robert Dudley married Amy Robsart at the royal palace of Sheen. The couple were both several days short of their eighteenth birthday, Amy celebrating her birthday on 7 June and Robert celebrating his on 24 June. Amy's father had made a marriage contract on 24 May with Robert's father John Dudley, earl of Warwick and later duke of Northumberland. In it, Robsart granted his daughter and her husband an annuity of £20 per annum until they inherited the Robsart estate after his and his wife's death. Warwick obtained for his son and daughter-in-law the lands of Coxford Priory. While Warwick might have hoped for a more ambitious marriage for his son, the marriage was beneficial in that it strengthened the earl's influence in Norfolk. As Simon Adams has written, 'the two estates combined would make the couple major figures in the county'. Born in June 1532, Amy was the daughter of Sir John Robsart and his wife Elizabeth. Her father was a Norfolk landowner and she was probably born at Stanfield Hall in Norfolk. Robert was the fifth son of John Dudley (1504?-1553), an ambitious nobleman who became earl of Warwick and later duke of Northumberland. Robert was reputed to be gifted at languages and writing and, after growing up in the court of Henry VIII, served as a companion to the teenage king Edward VI. He was handsome, charismatic, flirtatious, outspoken and charming. Historians have conjectured that Robert and Amy probably met during the campaign against Ket's Rebellion in 1549, when the earl of Warwick and his sons stayed near Stanfield, Amy's family residence. Evidence suggests that the young couple fell in love and decided to marry in their passion for one another. William Cecil disapprovingly remarked of the union: 'Carnal marriages begin in joy and end in weeping'. On their wedding day, the couple were honoured by the attendance of Edward VI, the twelve-year old king of England. Scarce evidence survives of their married life together. We do not know if they were happy with one another after the initial passion of their courtship. At the time of the young king's death in 1553, Robert and Amy were residing at Somerset House, the former residence of the disgraced Earl of Somerset. That year, Robert was imprisoned in the Tower of London by Mary I on account of the support he gave for Lady Jane Grey's usurpation. His father was beheaded in August 1553, but Robert was fortunate enough to escape this grisly fate. Amy is known to have visited him while he was incarcerated in the Tower. Only in 1557, with the death of her mother (her father had died in 1554) was Amy able to inherit the Robsart estate. Above: Elizabeth I acceded to the throne in 1558. Elizabeth's accession in 1558, however, can be viewed as effecting a turning point in the Dudleys' marriage. As is well known, Robert Dudley was an intimate favourite of the new queen, and spent considerable time at court. Amy did not accompany her husband to court following Elizabeth's accession, but spent her time at Throcking, Hertfordshire. 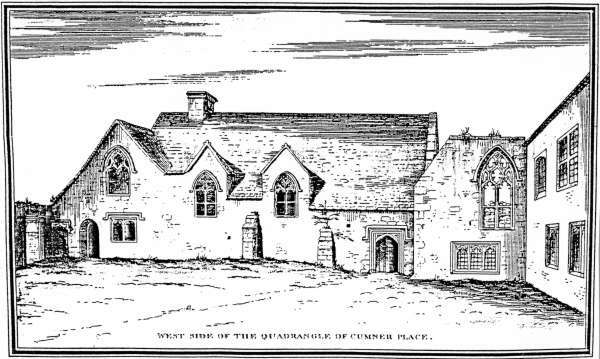 By December 1559 she had departed for Cumnor Place, Berkshire. Nine months later, on 8 September, she was found dead at the foot of a pair of stairs. Mystery surrounds the events of her death. It is still debated today whether she was murdered, suffered an accidental death, or committed suicide. According to contemporary evidence, Amy's death caused 'grievous and dangerous suspicion, and muttering' in the country. Above: Engraving of Cumnor Place. On 4 June 1550, however, all of this was well in the future. Evidence suggests that Robert and Amy's marriage was a love match. Tragically, their marriage was not fated to be a long-lasting one.